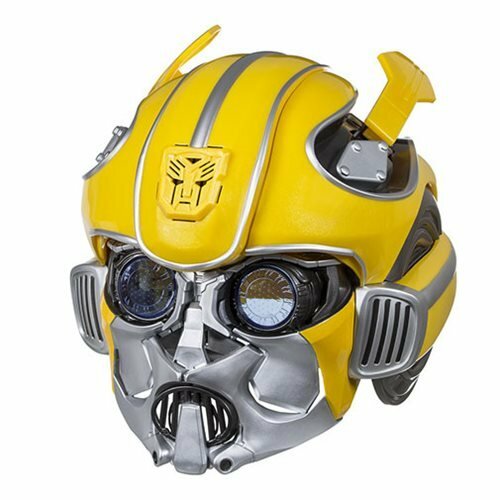 Bumblebee is a bodaciously brave Autobot who makes every moment epic with cool mix tapes, killer dance moves, and parkour power tricks. 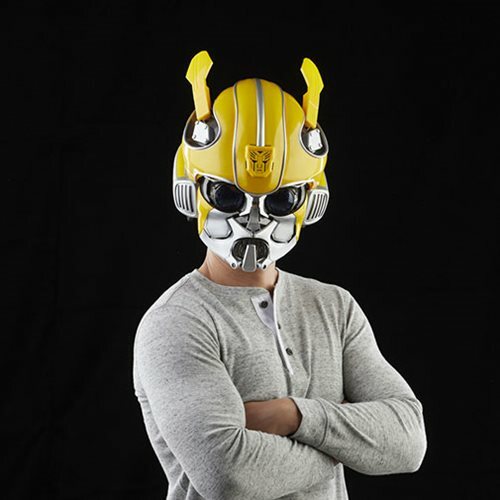 The pop-culture-loving bot easily befriends humans with a fearless spark and bright personality. When his friends are by his side, he fearlessly blasts into adventures to unleash the power within. 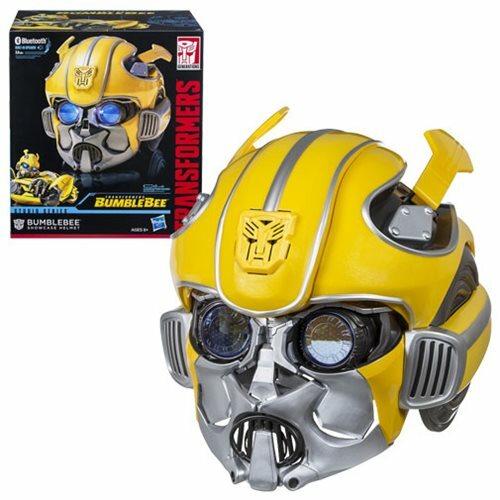 Join the buzz with the Studio Series H-01 Movie 6 Bumblebee Showcase Helmet that captures the cool swagger of the loyal Autobot scout. 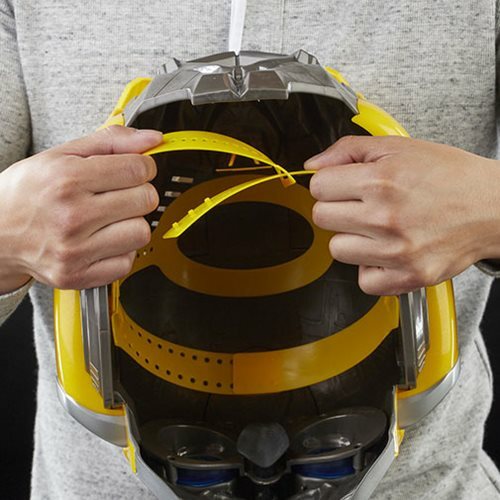 This helmet is designed with vivid, movie replica detail and a premium glossy finish. 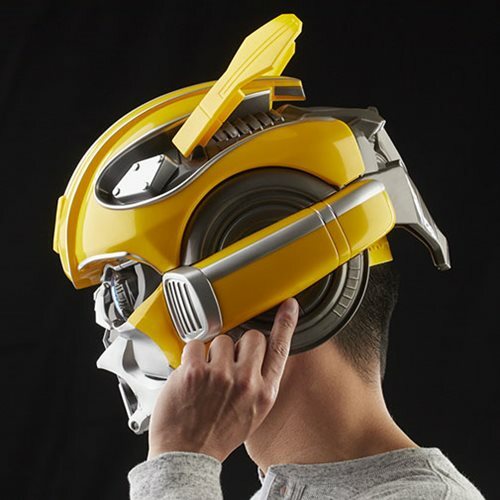 Crank your favorite tunes with the built-in speakers that connect to devices via Bluetooth. 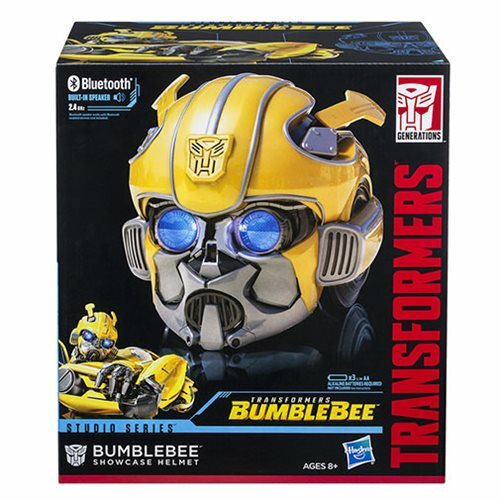 Also features 25+ sounds and phrases inspired by Bumblebee. 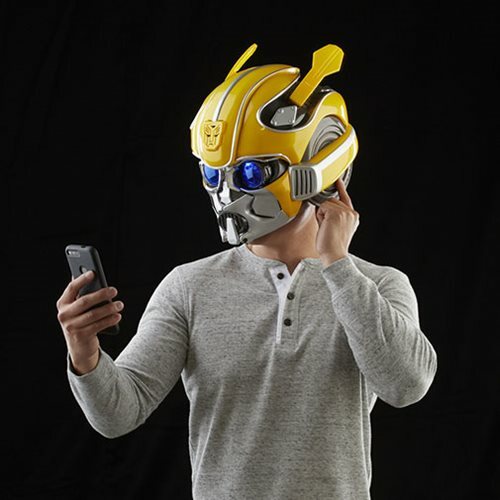 Don the helmet and show that you, too, are More Than Meets The Eye. One size fits most. 3 AA alkaline batteries required. Not included.